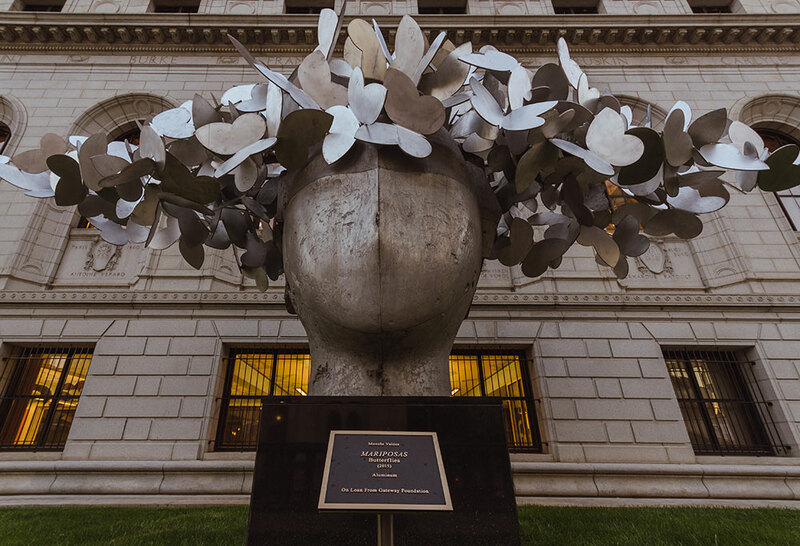 Mariposas (Butterflies) by Manolo Valdes at the St. Louis Public Library - Central Library in St. Louis, Missouri. 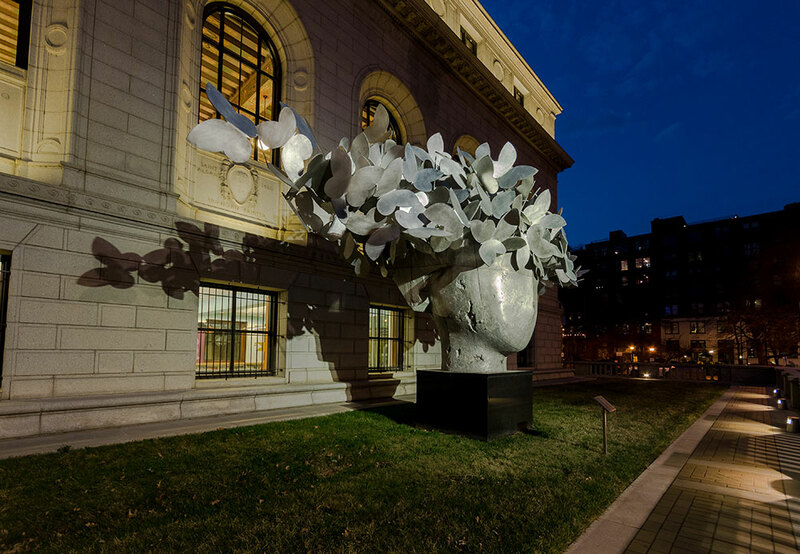 Mariposas, spanish for butterflies, is a stunning aluminum sculpture by Manolo Valdes. 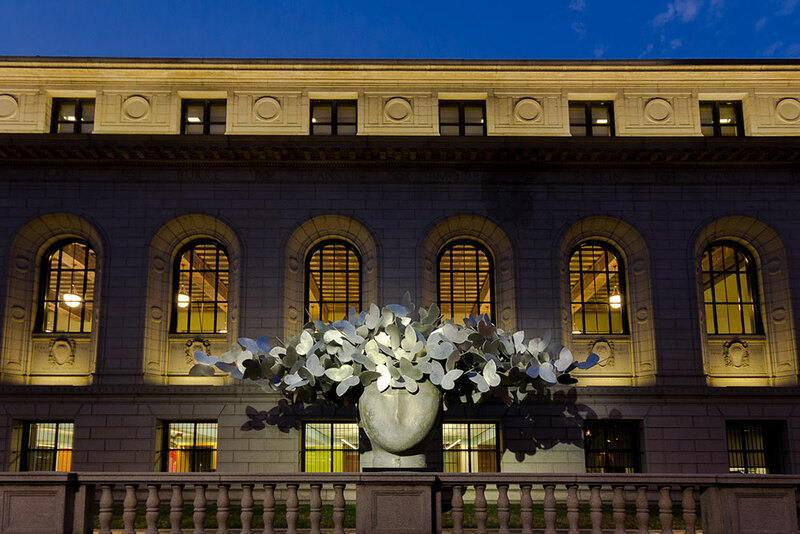 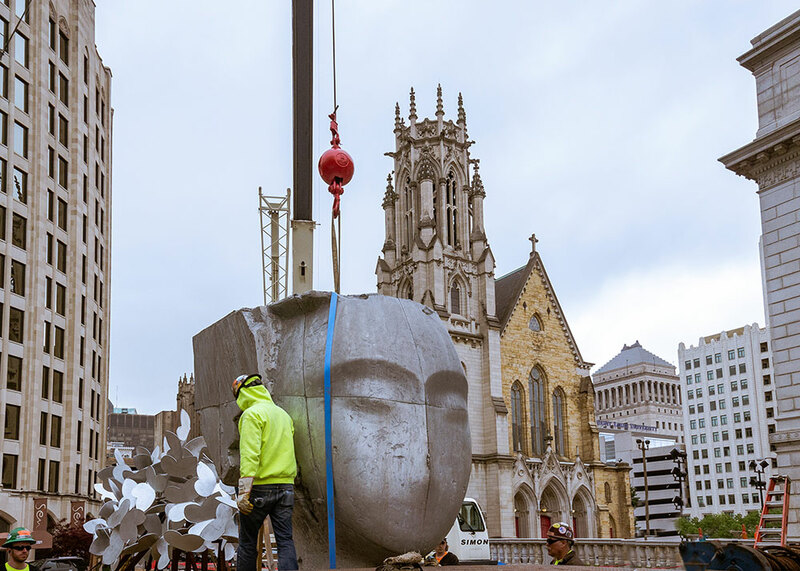 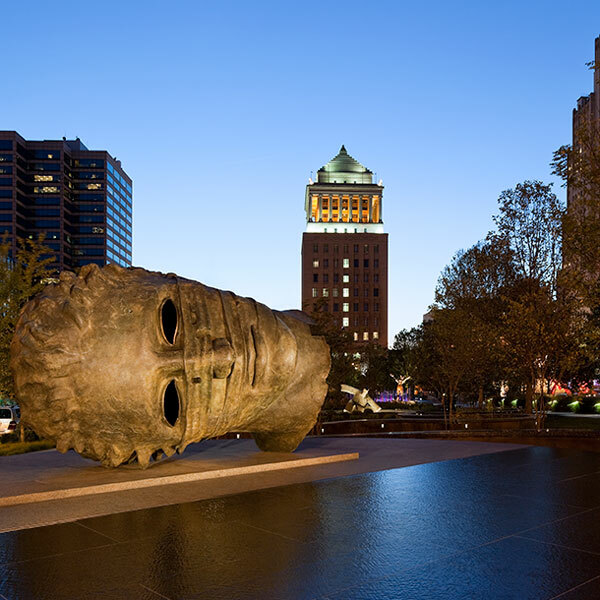 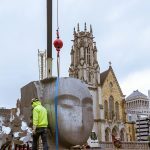 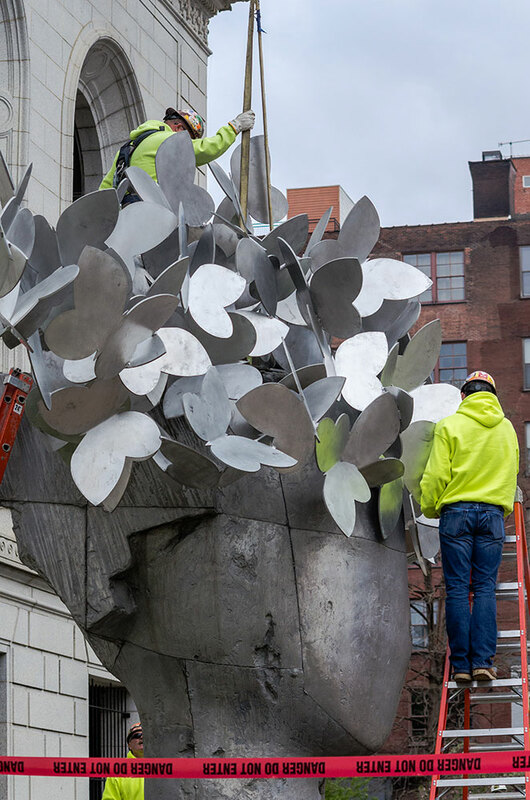 Approximately thirty feet in width and fifteen feet in height, sitting atop a three-and-a-half pedestal, the sculpture is sited on the east terrace of the Central Library branch of the St. Louis Public Library. 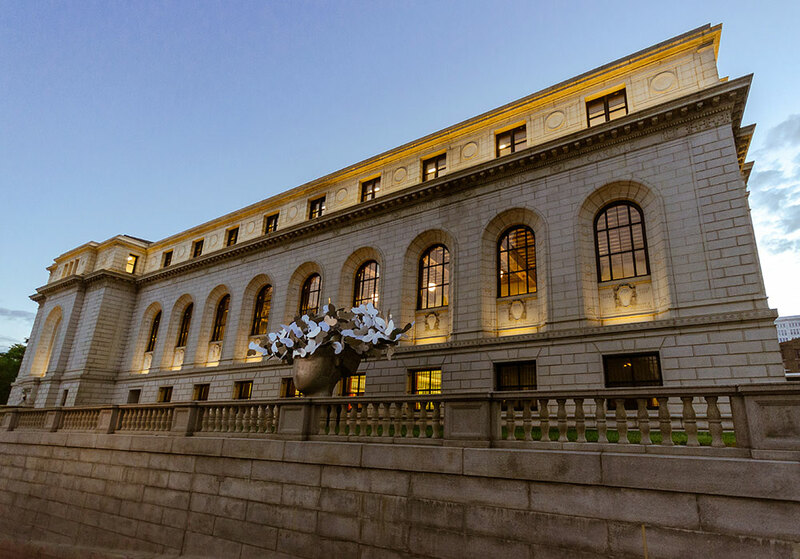 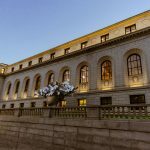 The juxtaposition of the artwork to the Cass Gilbert designed library building is striking during the day, and the lighting design reflects this for evening viewers. 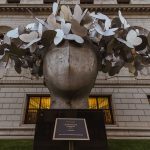 Mariposas is on loan from the Gateway Foundation. 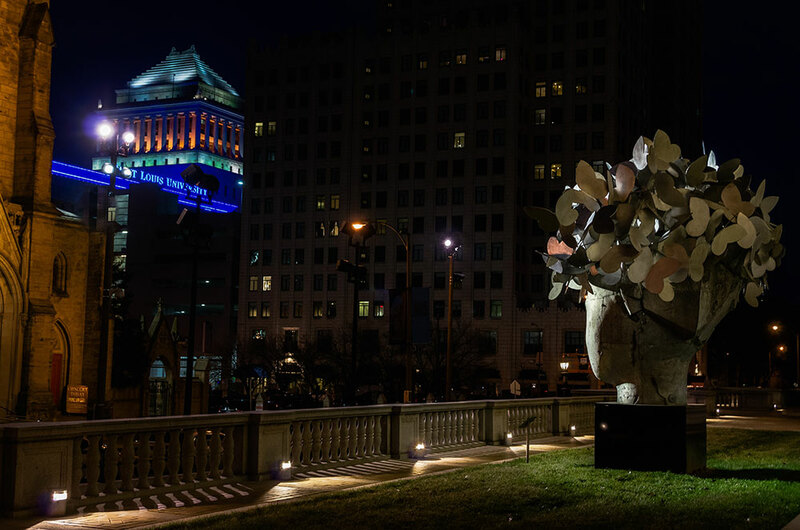 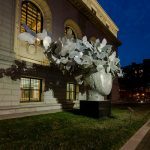 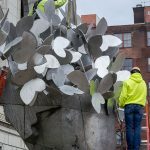 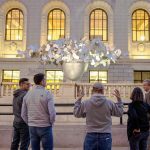 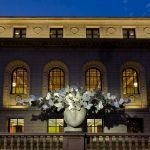 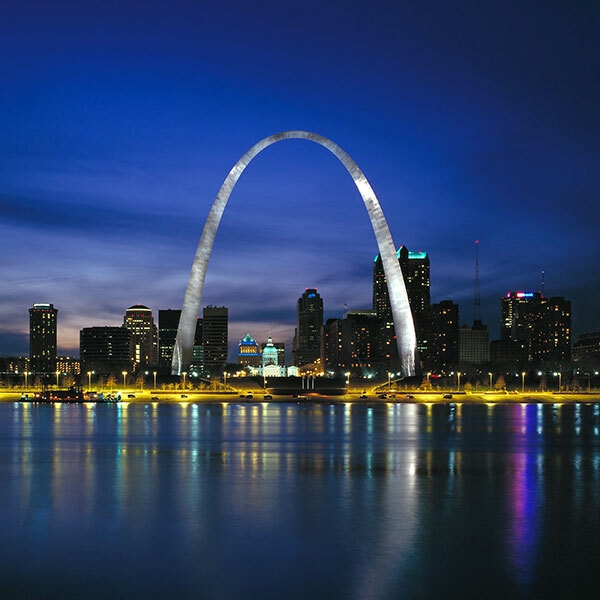 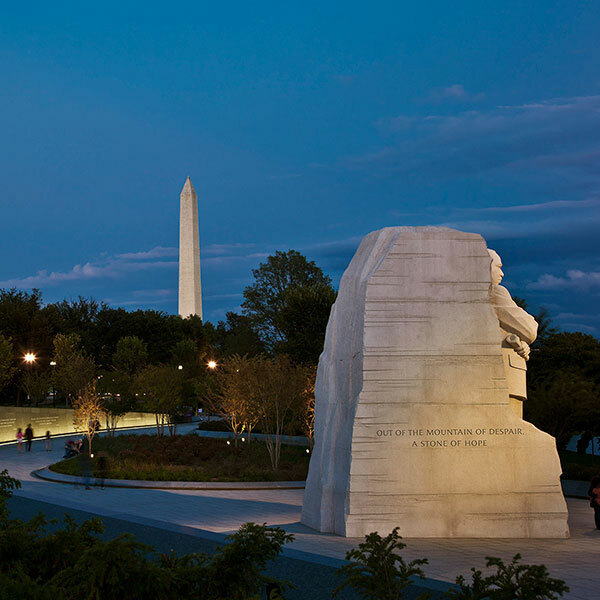 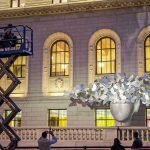 Having served as lighting designers for a number of Gateway Foundation sculptures, RBLD was able to quickly develop a number of potential lighting solutions for review. 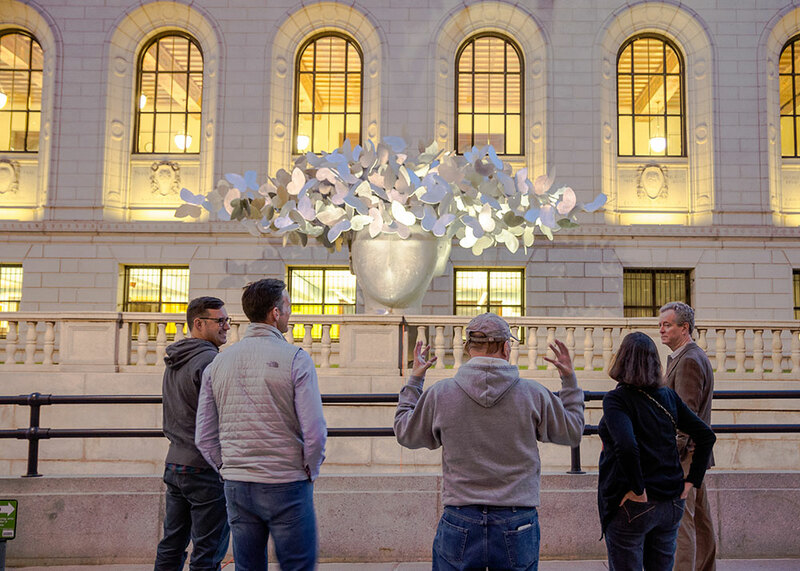 Key goals of the lighting design were to accentuate the depth and layers of the piece, create a sense of drama, and isolate it from the building facade. 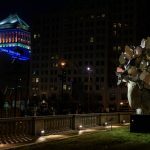 Starting from the premise that the ‘lighting’ should not be seen or its location easily identified, mock-ups were undertaken to determine viability and positioning. 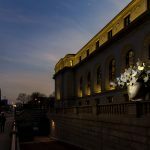 Small accent luminaries at the terrace were considered but due to access and construct-ability concerns, the option was eliminated. 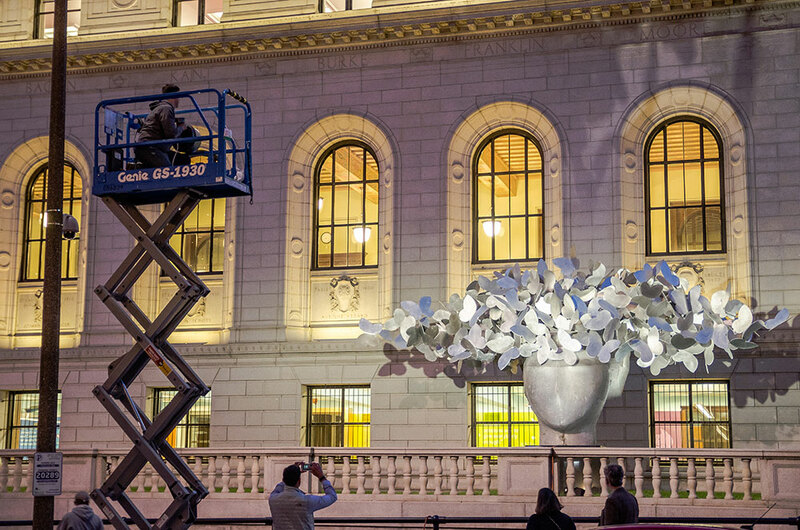 The final lighting solution uses just two floodlights mounted to a nearby pole, already carrying floodlights for a portion of the building facade lighting, that illuminate the sculpture. 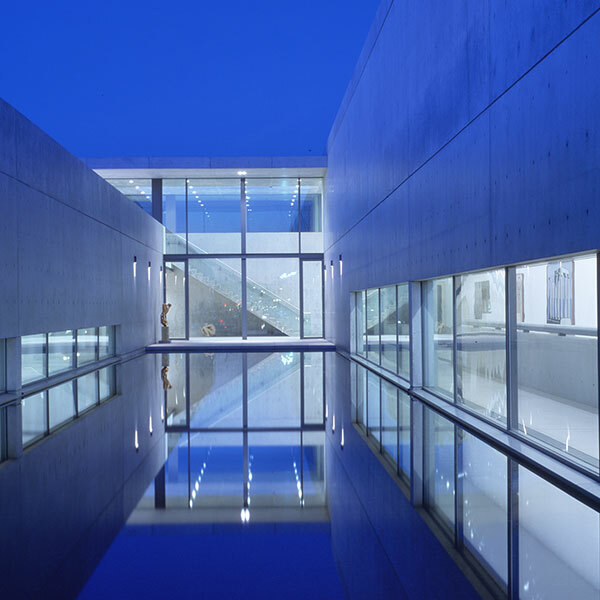 One luminaire has a narrow, symmetric distribution to provide accent illumination on the face and center of the piece; internal shielding minimized spill light both above and below the sculpture. 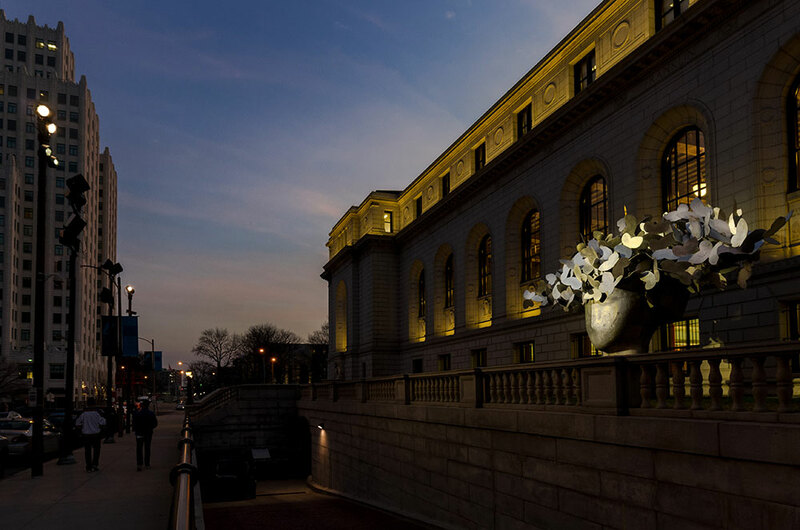 The second luminaire features a modified asymmetric distribution, again reducing light spill onto the facade, to ensure the mariposas would sparkle from end to end.